During the period 1960 to 1967, the Hawker Hunter saw operational service with four units assigned to the Middle East Air Force; Nos. 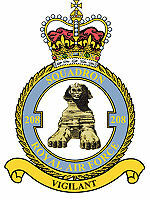 8, 43 and 208 Squadrons and 1417 Flight. 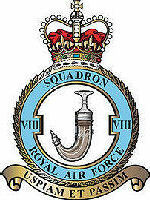 Number 8 Squadron was in fact the first RAF Squadron to receive the FGA.9 version, the first examples arriving at RAF Khormaksar, in January 1960. Number 208 Squadron converted from the Mark 6 to the Mark 9 in March of the same year, before flying out to its new base at RAF Eastleigh in Kenya. Having also upgraded its F.6s for FGA.9s in 1960, No.43 Squadron moved from RAF Leuchars in Scotland, to Cyprus in 1961 and on to Khormaksar in 1963. Finally, in 1963, No. 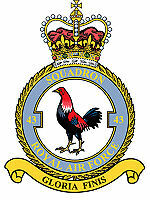 1417 Flight was reformed at Khormaksar, taking over the FR.10s from 8 Sqn and T.7s from all three squadrons. With a total of 46 Hunters on strength, the Khormaksar Strike Wing had formidable fire-power with which to police the substantial area under control of the Middle East Air Force. 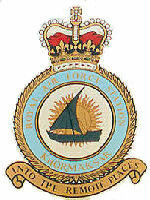 On 28 March, 1964, eight Hunters from 8 and 43 Squadrons carried out an attack on a fort called Harib located inside the Yemen, initiating an international incident and headlines in the UK press. 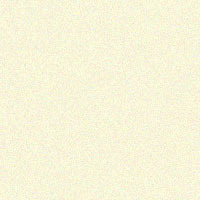 Click on this button to view a selection of newspaper clippings.